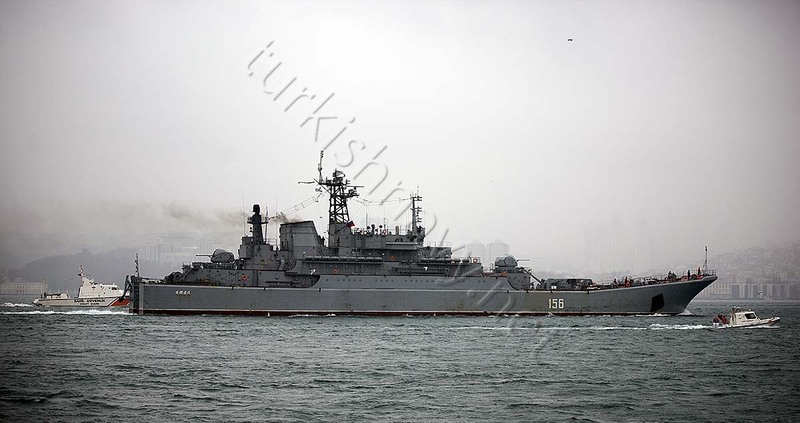 Russian Ropucha class large landing ship Yamal, escorted by Turkish coast guard vessels TCSG-303 and TCSG-4306 returns from her Syrian deployment. 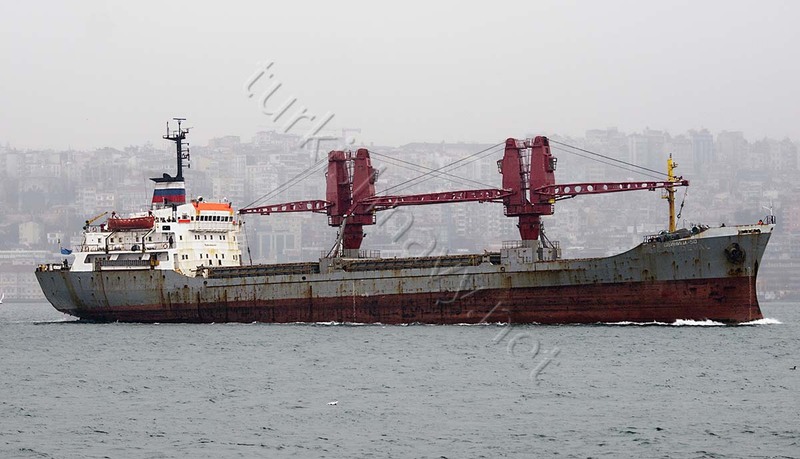 Russian auxiliary cargo ship Dvinitsa-50 followed Yamal and passed northbound through Istanbul a few minutes after the landing ship. THE SHIP TRAFFIC IS TOO HEAVY IN BOTH DIRECTIONS OF THE BOSPHORUS CHANNEL.